Situated in the French Alps with Lake Geneva to the north, Mont Blanc to the south and Annecy to the west, the Haute-Savoie region must surely be one of the most beautiful in France. Situated in the French Alps with Lake Geneva to the north, Mont Blanc to the south and Annecy to the west, the Haute-Savoie region must surely be one of the most beautiful in France. It’s a place where people come to ski in the winter, hike in the spring and tan by the lakes in summer – a fantastic year round destination. But there are an overwhelming number of places to visit. Living in Geneva, the region is right on my doorstep and I’ve been lucky enough to spend many a weekend exploring its delights. So if I had to pick three spots in this region to visit, which would be at the top of my list? With canals winding around its delightful old town, Annecy is often called the Venice of France. And with the alps towering out of Lake Annecy, it also has one of the most dramatic lake views you’re likely to find in the area. The lake itself is simply stunning and a big draw for locals and tourists alike. In the summer you can take a pedalo out onto the water and relax in the sun, and with the crowds gone in winter you can hole up in a cafe somewhere and watch the world go by. Aiguille Du Midi Lookout, Chamonix, France, a photo by Flights. Camera. Satisfaction. on Flickr. There are countless hikes on offer in the mountains that rise up high above the Chamonix valley, and looming over you from the south you’ll find the famous Mont Blanc, tallest mountain in the Alps. If you like to get out into the mountains and be close to nature, this is the place to be in Haute-Savoie. 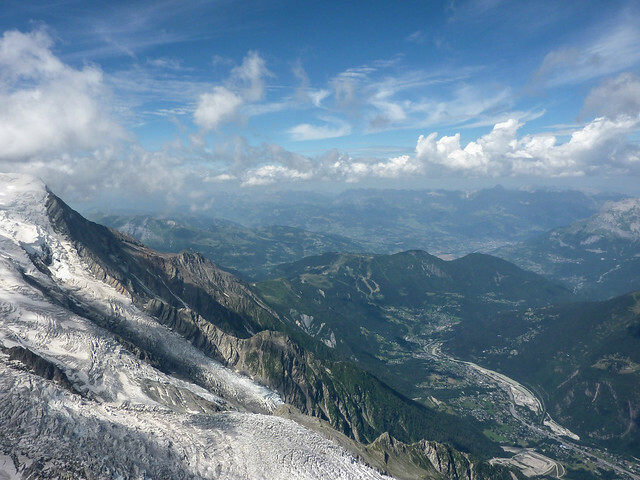 The Aiguille du Midi cable-car will take you up to 3842m for stunning views of the Alps and the valley below. If you’re more into glaciers (or cable-car shy) the Train du Montenvers will take you to 1913m for spectacular views of the Mer De Glace, the longest glacier in France. LY 13808, Yvoire, France, a photo by Flights. Camera. Satisfaction. on Flickr. 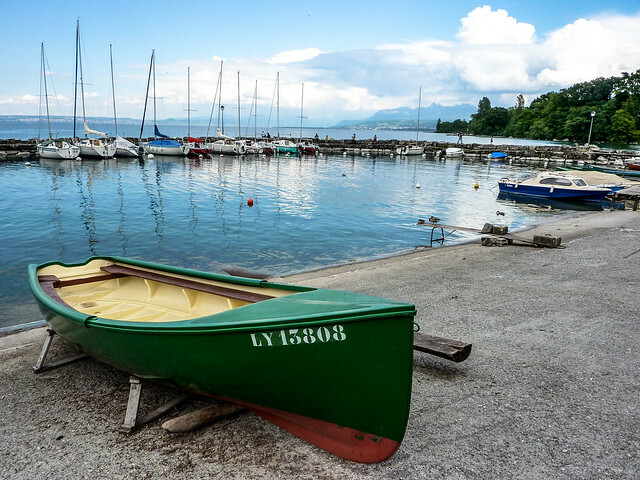 This medieval town on the shores of Lake Geneva has charm to die for. The best time to visit is in the summer when locals decorate their houses with an array of beautiful flower arrangements. It’s a lovely town to spend a day just aimlessly wandering in and out of shops, snapping photos of the pristine medieval houses and enjoying an ice cream by the lake. Be wary of visiting in the off-season as many shops and restaurants will be closed for the duration. Have you visited this region of France? Somewhere you think I’ve missed? Let me know in the comments below!